The new term of council officially starts today. Monday’s largely ceremonial council meeting will take place in the Rose Theatre, a refreshing change in scenery from the temporary chambers in city hall’s west tower. Of 11 members, the mayor and four councillors are new, and they will have to quickly get up to speed on major issues left unfinished by the last council: regulating pot shops in the city, recouping withheld provincial funding for a Ryerson University campus and reinvigorating stalled LRT planning. With the retirements of old stalwarts Gael Miles, John Sprovieri, Grant Gibson and Elaine Moore comes a good deal more diversity. Previously, Gurpreet Dhillon was the sole visible minority on council. Charmaine Williams, Harkirat Singh, Rowena Santos—all of whom are minorities—will be joining fellow newcomers Paul Vicente and Mayor Patrick Brown. 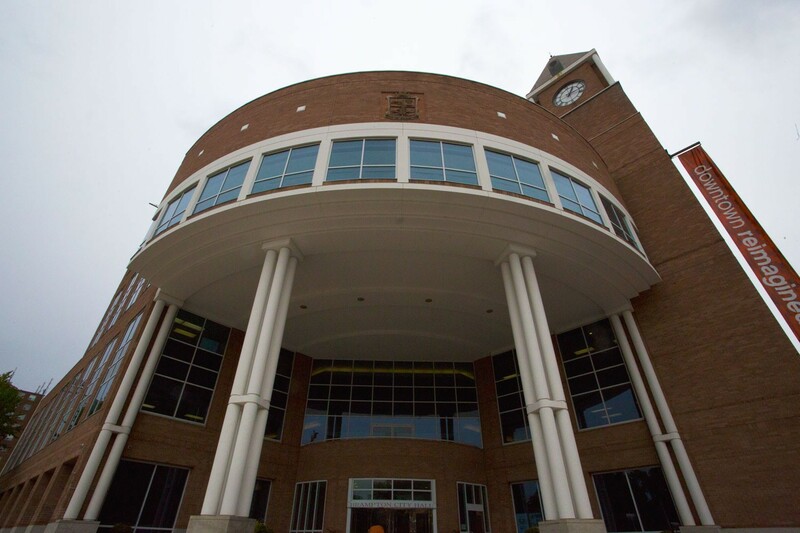 While some of Brampton’s communities may see advantages to the new look, the rookies won’t have much time for celebrating, with a number of controversial issues dogging the city. Facing a Jan. 22 deadline, one of the first issues on the agenda will be cannabis shops. A Dec. 5 committee of council meeting will be asking: Opt-in? Or opt-out? The province has given municipalities the option to decide if they want to have retailers sell recreational cannabis in stores. 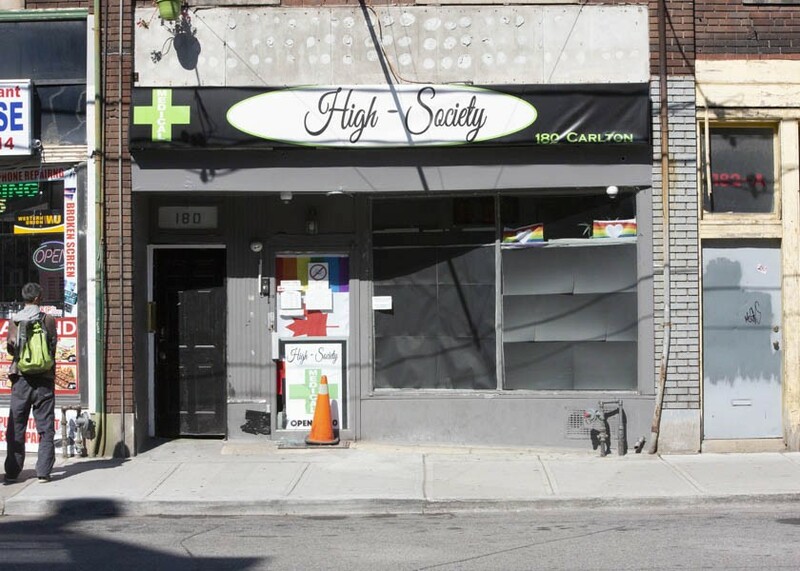 Five cities have signalled their opposition to brick-and-mortar pot shops and may vote against them by the deadline: Markham, Richmond Hill, Oakville, East Gwillimbury and King Township. Now that she is no longer mayor, the question falls upon her successor, Brown. His position is not as clear as Jeffrey’s, however he does emphasize the need for proper regulation and safety standards. “Legal cannabis retail locations should be tightly controlled through bylaw: e.g. no shops near schools, hospitals, addiction treatment program locations, or residential neighbourhoods or downtown,” Brown told The Pointer back in October. Bramptonians may have to wait till January to find out if they will be able to go to a local shop, whether for medicinal or recreational purposes, to purchase cannabis. The future of higher order transit is another question that seemingly went nowhere during the last term. As things stand now, the provincially funded Port Credit–to–Brampton LRT will terminate at Shoppers World, 4 km south of the downtown Brampton GO station, where Jeffrey had wanted it to end. The hope was bringing the LRT downtown would spur growth in Brampton’s chronically underdeveloped core. While a city council vote in 2015 put an end to the Main Street alignment, and the route was greatly shortened, an alternate corridor could still bring an LRT through the city-centre. Other routes have been proposed. Alternatives to the Main Street alignment include lines on Kennedy and McLaughlin Roads. A third, more ambitious, option is the double loop alignment, which is more or less a figure-8 path both skirting and going through the downtown. Mayor Brown has signalled his support for the double loop as part of his larger plan to implement the 2040 Vision document’s transit recommendations. The figure-8 loop could either be an LRT or a Bus Rapid Transit system, which is a form of high order transit where bus routes are separated from regular traffic. Brown’s position on the loop is in sharp contrast to that of Jeffrey, which she opposed in favour of the Main Street alignment, which the former provincial Liberal government approved. “I support the Main Street route because that is where the traffic is … We don’t have a commitment from Queen’s Park north of Steeles. It is foolish to put $4.4 million towards (researching) the McLaughlin and Kennedy Road routes,” Jeffrey said during an election debate. 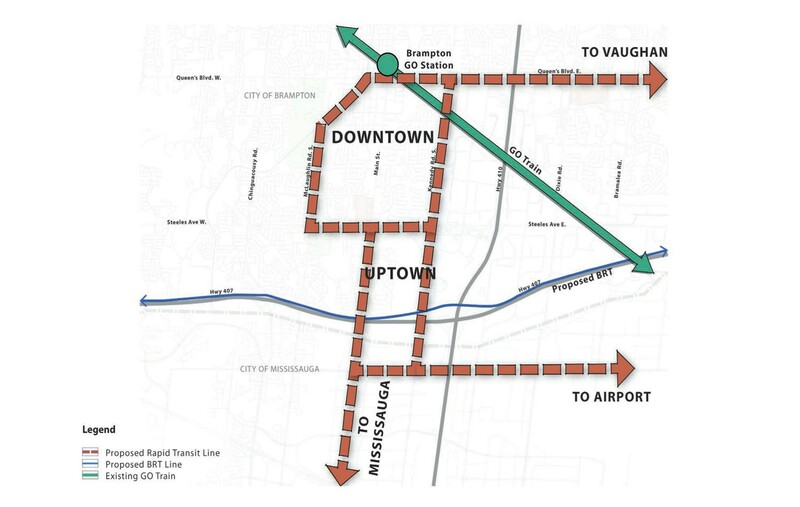 Brampton Transit numbers actually showed low ridership on Main Street, along the proposed LRT route. She has in the past said that an LRT was a precondition to a university coming to Brampton. An open letter by former premier Bill Davis, who also chaired Jeffrey’s blue ribbon panel on the university, refuted this claim, which contributed to council’s rejection of her provincially endorsed route. The province has since pulled funding for the transit project in the city, north of Steeles, and Bramptonians are anxiously awaiting details about possible funding in the future. 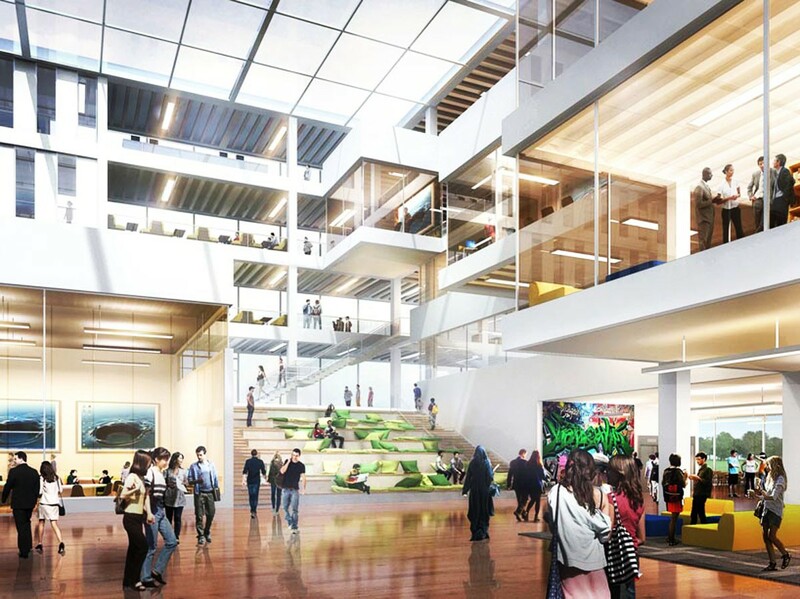 The province also pulled funding, $90 million, for the soon to arrive Ryerson University satellite campus in Brampton’s downtown. The sudden announcement the day after the municipal election gave city officials whiplash. The plan is moving ahead without the province, and city officials are scrambling to find ways to recoup the cash. A special council meeting on the subject led to no concrete commitments. Ryerson Deputy Provost Glenn Craney did assure the council and residents that the Ryerson Chang School will open its doors in Brampton in 2019. Craney did hint that Ryerson is looking for private sector investors, but provided almost no details about who they are courting or for how much money. Policing will be a major issue for regional councillors in the current term. Though they do not sit on the police board (Brown likely will) regional council does set the police budget. Community activists such as Ranjit Khatkur and Howard Morton of the Peel Coalition Against Racialized Discrimination (P-CARD), have taken the Peel Police Services Board to task over dragging its feet on the release of an equity and diversity audit that was set to be released last month. Brown will have to deal with its status. The equity audit has been in the works since 2016. The Pointer also verified that the report was supposed to be released at the Nov. 23 police board meeting. No explanation was given as to why it was not. The searing browbeating delivered by Khatkur at the meeting drew little response. Chief Jennifer Evans provided no rebuttal, nor did Jeffrey, who was present. The only reply Khatkur got was an apology from board chair Norma Nicholson for not making the meeting’s agenda available on time. One rather uncomfortable question hanging in the air was who the new police chief will be. Evans is set to depart in January with no heir apparent named. Evans’ tenure can be described as, at best, checkered. Brown will be on a seven-member board that will decide on a new chief, setting the coming course for the troubled force. Evans' assertion that the recent spike in crime in the region was the result of the roll-back of street-checks may have alienated her force from segments of the community. Accusations of racism and incompetence have led to speculation that her early departure was a result of many in the community losing faith in her and her officers. “The police are like a band of brothers; that’s no secret. If we want to really find out why black and brown people aren’t being hired or promoted by Peel police and why so many in the community feel routinely discriminated against and targeted by Peel police, how can we ask the police department to review themselves?,” La Tanya Grant, of Black Lives Matter, said in 2016. One possible reason behind the recent spike in crime is the level of poverty in Peel. Statistics show that roughly 94 percent of residents are either low-or middle-income earners and income inequality in the region is growing. Regional councillors will need to help Brampton deal with rising problems connected with poverty. A study by the United Way of Toronto and York Region showed that in in 1980, only 2 percent of Peel’s neighbourhoods (defined as census tracts) were classed as low-or very low-income. In 2015, that number jumped to 52 percent. (Meaning that residents on average earned somewhere between half and 80 percent of the Toronto Census Metropolitan Area median of $50,479.) Middle-income neighbourhoods have declined steeply. Minister of Children, Community and Social Services Lisa MacLeod announced last month her government’s re-tooling of the province’s social assistance framework. “The sad truth is that social assistance in Ontario is simply not working for the people it is intended to support. It traps people in a cycle of dependency, and all too often it robs them of the dignity and independence of a job,” MacLeod said at the time. Particular attention was paid to the benefits claw-back in the new policy. Under the previous Liberals, anyone earning more than $200 in a month got their support reduced. Kathleen Wynne had promised to increase that threshold to $400 with an exemption of 50 percent. Under MacLeod’s program, anyone earning $300 or more will get an exemption of 25 percent. The plan also emphasized a customization and frontline worker feedback oriented approach to the Ontario Disabilities Support Program. MacLeod said during her announcement that those on ODSP can earn up to $6000 per year and have a choice of health spending programs to pick from. Brown’s fraught relationship with his former party has residents wondering how he and Premier Doug Ford will tackle poverty and other issues. Following his book launch, there was only one question hanging in the air: how will he work with the province? 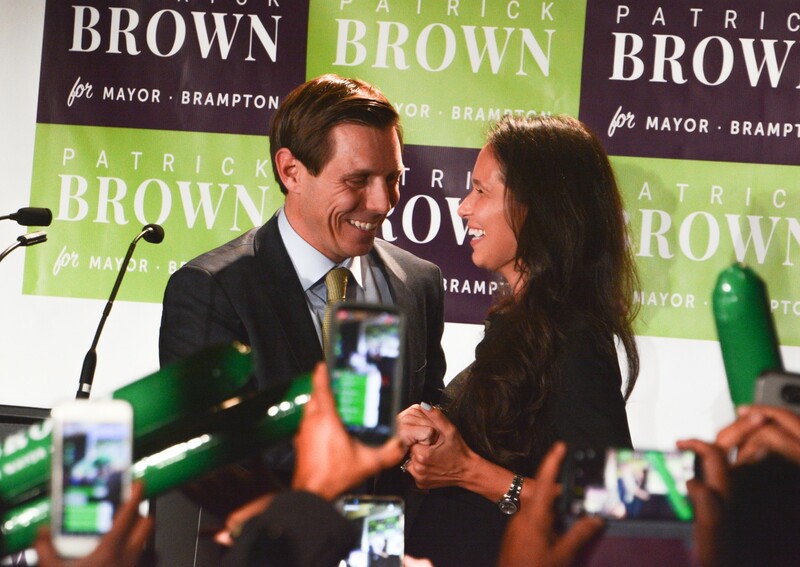 Takedown: The Attempted Political Assassination of Patrick Brown, is an unrelentingly scathing attack of his former colleagues and the machinations that he believes brought him down. He hurled vicious attacks at MacLeod, whom he accused of faking a mental illness to win votes, and at Finance Minister Vic Fedeli, who he believes conspired to bring him down. Bramptonians are understandably nervous about their mayor’s relationship with the provincial government. Staff working to move forward on projects are going to rely on the Ford government for support, making this an especially uncertain transition between governments.